In case you can't tell - it's November. And I'm participating in NaBloPoMo again. National Blog Posting Month. It's coordinated by BlogHer, but you can participate even if you don't officially sign up with them to do so. November is the month when many people sit themselves down and write their novels. NaNoWriMo - National Novel Writing Month - cool, right? And every year I think, maybe. Maybe this will be the month I actually turn my words into something book-worthy. But nah. Not this year. I've got my own thoughts and deadlines and whatnot, and I've been so danged busy, and so much has been happening and I have so many things thoughts and whatever else running around my brain a novel just isn't going to fall out and land on the paper through my fingertips. So, I sit here, instead, eating from a 15oz box of golden raisins, refusing to let my streak of blog posts die a sudden death on November 6th. So, even if my post turns out to be a ramble - which it most definitely has - I'm going to declare it a win. Because aside from get a lot of non-social work work done today I did absolutely nothing. Although that's not entirely true. I did some reading. 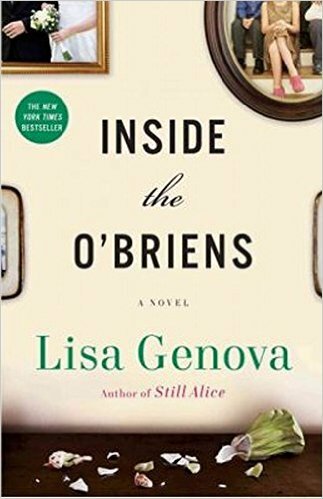 I'm finishing up Inside The O'Briens by one of my favorite authors, Lisa Genova. It's so good. She's an amazing and talented writer. And we watched Supergirl tonight. And so - there you have it. My first week of November posting is complete. Give or take a day or two. Dang. Sunday doesn't start a new November week, does it? Halloween was on Monday. Man. My head is a hot mess! Maybe this week I'll talk a bit about the conferences I attended in October and fill you in on my plan for blogging, etc. moving forward. Golden raisins huh? I need to look on my FODMAP food list and see if raisins are okay. I cleaned my room today! I didn't get much exercise in, but I did clean my room, for the first time in, um, years?